Even the word carries power. The first sylable growls with the menace of giant toothed maws while the G roars with barely suppressed flame. But I’ve never seen a dragon – have you dear reader? If no one has ever seen a dragon, ever experienced it’s fiery breath, ever touched it’s scaly hide – if it’s really just an idea, then why are we so captivated by it? Take for example, yesterday at the video store (I know, they still exist! WOW!) And at one end there’s documentaries, the other end there’s Sci-fi and right in the middle is good ol’ action. So I look in Docos and there’s one about whether Dragons could have ever existed or not (Very interesting, go check it out! Wiki Page HERE). In the sci-fi there’s a (rather corny) 2002 movie by the name of “Reign of Fire” about dragons reawakening (Where they’ve been sleeping that some intrepid climber hasn’t already stuck their nose in I haven’t the faintest..) Anyway it features Christian Hay-Bale, Mathew McConaughey-hey and Gerard totally-not-your Butler. I know, you’re falling asleep already. However in the middle of these two when I flee to the kids section I get “How to Train your Dragon” and Game of Thrones Season Three (Which has a dragon’s shadow on the front) in the T.V. I’m not going to even mention Skyrim. So Why, Why, are we so obsessed about dragons? David Hume. He could do with a few dragons. Essentially a dragon is a giant intelligent (or semi-inteligent depending on what story) reptile with (or without) wings that can breath fire and sometimes talk great wisdom. It’s what David Hume, an 18th century philosopher would call a false impression. The Dragon would be a prime example of a false idea. But it is one that has stuck in the collective mind of the human race for centuries on end. Chinese dragons had a stag’s horns and a fish’s fins but was still a large scaled creature flying around the sky. I posit that one possible answer could lie in the creatures the Dragon is composed of. It has the skin and scales of a lizard – a creature that soaks in the energy of the sun each day – who’s scales no doubt were perplexingly different from skin or fur. And then flying, with or without wings has always been a goal of humanity – to fly among the stars. And really, who doesn’t want to breath fire? Or have a cool moustache! No!! 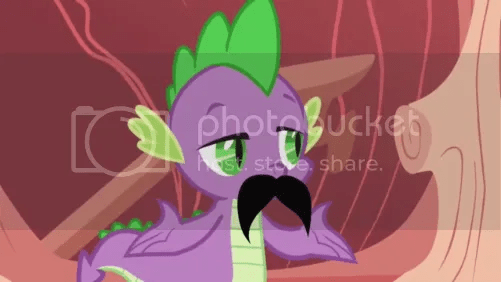 THE OTHER DRAGON MUSTACHE! Perhaps we all desire for giant lizards to come and rule over us? Or perhaps farmers universally need someone to blame those damn missing sheep on…. Please let me know what you think the answer is. Why do you think humans are so obsessed with the idea of dragons? ← The Gold Coast Half Marathon – New Poem. I think it has to do initially with the fact that in the past, people probably came across dinosaur bones and fossils that would seemed to have validated the existence of dragons. Next, I think there is also the fact that is has been found in a range of Western AND Eastern mythologies which suggests similar experiences (fauna, fossils etc). This adds a level of relatability across cultures in addition to a touch of ‘authenticity’. In a more abstract sense, dragons are associated with power and flight, which are two things many humans love and/or strive for in various ways. In addition to this, they are also associated with wealth (due to their hoard) and, depending on the mythology, wisdom, fortune and adventure. Thus the dragon has become MORE than just a ‘physical’ beast. Add to this the fact that Tolkein included dragons such as Smaug in his text, which is an important point since his writings have massively influenced the Western fantasy scene ever since. The perpetuated myth of the dragon thus is bolstered by fantasy writers adapting the dragon as a natural or obvious trope of the fantasy genre. Finally, I think the fact that the actual appearance of dragons isn’t fixed plays a role in why we continue to obsess about dragons. The appearance and abilities can be adapted and changed drastically whilst still remaining a believable dragon. These changes can be physical, from the simple structure of the ears, wings, number of legs and prescence of spines; it can be in regards to ability- limits of flight, fire breathing, luck bringing, magic using; sentience and intelligence levels- from ancient wisdom givers to simple beasts; aesthetic appeal- ugly or beautiful, cute or deadly and nature- evil, good, neutral, apathetic, wild etc etc and can even extend in some cases to the related sea serpents and other creatures such as wyverns as ‘relatives’ of dragons. There simply isn’t many other mythological creatures as iconic as the dragon that has this versatility. And so the dragons survives even today because of this ability to adapt to contemporary culture in writing, film, gaming and art.